Best part: Levitt’s cold yet charismatic assassin. Worst part: An over abundance of slimy henchmen. Imagine this possibility; you are handsomely paid to kill the scum of a futuristic crime-filled world, but your superiors decide to flip your life upside down and inside out. This is the premise of the fun sci-fi action flick Looper. The idea of meeting your future self has always been an alarming thought, what would you ask them? Or even more intriguing; How could it effect the future? 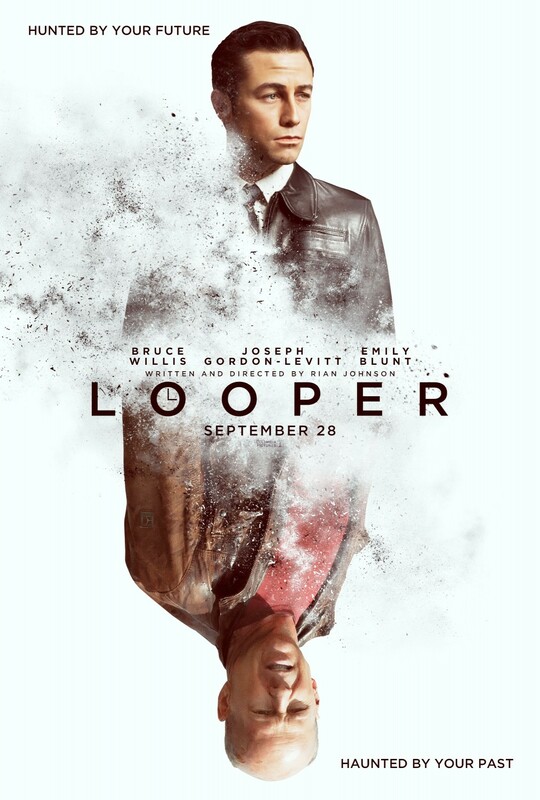 Looper recovers quickly from plot flaws to create a largely satisfying and breezy character study of an assassin gaining a parallel identity and quickly losing time. Joseph Gordon-Levitt’s character Joe explains that time travel has not been invented in his world of 2044, but it will have been in the future. Slick, leather clad assassins known as Loopers are a vital part of major crime syndicates using time travel to eradicate people from 2072, completing assassinations when their targets arrive in the past. When the mob have finished with said hired assassins, they ‘close the loop’; making Loopers kill their older selves for a satisfying reward. Joe’s life is livened with strip clubs, riches and drugs, but still wants out of his murderous existence. When his time is up however, his older self (Bruce Willis) escapes his execution. For younger Joe this is Bad news! Now hunted by his mobster superiors, younger Joe must escape their clutches, while protecting farm girl Sara and her son from his older self. The second collaboration between director Rian Johnson (Brick, The Brothers Bloom) and superstar Joseph Gordon Levitt brings weight to a genre previously considered to have run out of originality. Time travel is a major staple of the genre. Influenced by entertaining ideas of time travel from films like the Back to the Future series, The Terminator and 12 Monkeys, Looper finds its own sense of style while paying homage to classic 80’s sci-fi cinema. The film delivers on its intriguing premise, ceasing the ongoing number of underwhelming action flicks this year. ‘What if?’ is the film’s most important question, as the characters delve too far into their own motivations and soon struggle to see beyond them. Levitt’s Joe is a smooth character pushing himself to the edge. His repetitive lifestyle seems fun to the average Joe (no pun intended) but he becomes adamant on a life away from a technicolor drug trip. Willis’ older Joe is given a considerable amount of depth. His affect on his younger self creates a profound exploration of how one’s future can change with the pull of a trigger. The witty script works to Willis’ effect, creating instant chemistry with Levitt from their first dialogue sequence. 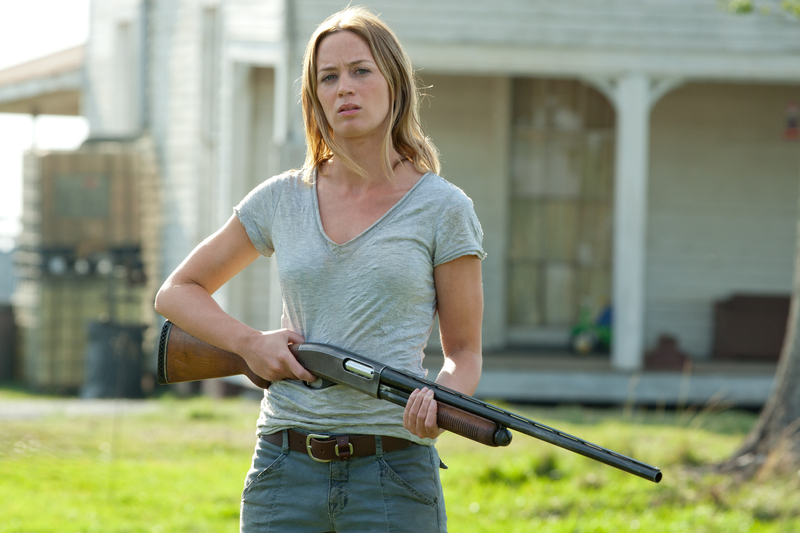 Looper slows down to a considerable extent when Blunt’s single mother and her son are brought into the film. The plot switches from the chase to Joe’s interaction with country life, diverting from the breakneck pace of the first half to focus too much on Joe’s new way out. 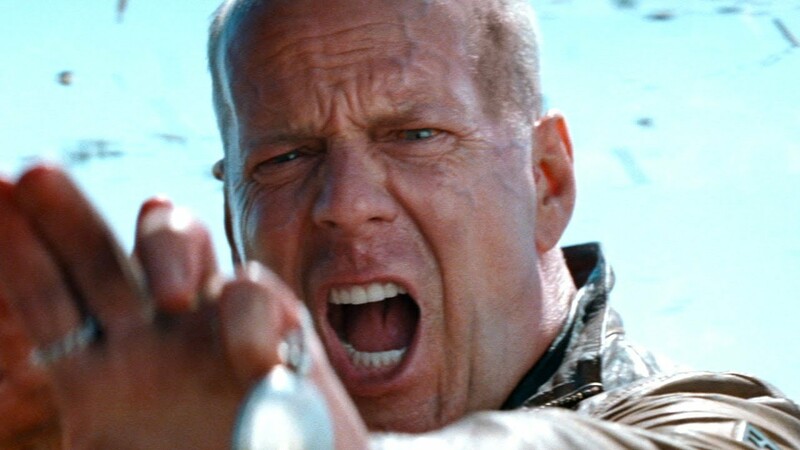 “I don’t want to talk about time travel because if we start talking about it then we’re going to be here all day talking about it, making diagrams with straws.” (Older Joe (Bruce Willis), Looper). The chemistry between Levitt and Blunt however proves why they are two of 2012’s hardest working actors, with English actress Blunt fitting into the country girl role with a convincing American drawl. Levitt, despite having to work around annoyingly distracting prosthetic make up, captures Willis’ mannerisms while creating a gritty interpretation of the cliche assassin character. While Jeff Daniels (the half of Dumb and Dumber who isn’t Jim Carrey) proves to be one of the best character actors in the business, with his intense performance adding to his already stellar year on screen after TV series The Newsroom. This neo-noir exploration of the ‘professional assassin on the run’ story is also grounded by creatively shot and violent action set pieces along with a techno score, subverting the monotony of modern action films. The style of Johnson’s biggest flick to date is heavily focused on the works of Stanley Kubrick and Christopher Nolan. Not reaching the glittery, lurid and clean visuals of Total Recall and In Time (thankfully), its grounding in a dirty, third world environment is a chilling reminder of a slipping economy desperate to avoid gangster control. The use of dark colours and stylised costuming creates a believably contrasting and enviable world in which the wealthy try as hard as possible to avoid the grime-covered and brutal poor. Certainly, Looper exists to boost Johnson and Levitt’s careers from indie to mainstream. Playing with interesting sci-fi concepts, this projects succeeds in taking us on a long, lost thrill-ride. In addition, with Willis back in full force, more movies like this need to be made. Verdict: A mind bending and energetic sci-fi actioner.